Sad new. Davey Williams Sad news. Davey died last Friday night at 10:30. Or so. His brother,Johnnie,called me t and told me. He discovered that he had a kind of cancer in his lower spine a few years ago. It hurt. His Doctor said that the cancer wouldn't kill him but that they needed to treat it. I'm not real sure about how it all got worse but he had recently started to take chemotherapy. It made him really sick. I talked to him a few weeks ago (he was in their car and Nico Linda was in the Walmart) when told me this. I asked him what the prognosis was. He said he didn't want to ask. He was supposed to have four of them and I believe he may have had the second one last week .About a week or ten days ago things started to go downhill Johnnie said. He was in the hospital when he died. Talk about a sad day. Davey did say once, about dying : ' It's gonna be easy for me and hard for yall.' I expect there was ' har har' and a grin after that. lovegeorge 1 week 1 day ago. George Cartwright shared a post. 1 month 2 weeks ago. Curlew at Jazzhus Montmartre, Copenhagen, as part of the legendary Knitting Factory Tour of Europe in 1992 https://georgecartwright.bandcamp.com/album/curlew Which smokes! All covers by me. Thanks, lots. 1 month 2 weeks ago. I've added some items to my Bandcamp site that I like a lot. One if Curlew at the Walker Arts Center playing JB Lenoir's Feelin' Good. I singandDavey and Tom RIP IT UP! https://georgecartwright.bandcamp.com/album/curlew-feelin-good-by-jb-lenoir 1 month 2 weeks ago. The dictionary would tell you that a tenacious slew is just a whole lot of stuff that clings and cloys. (A tenacious stew would be one that was hard to digest, perhaps made by an elderly relative.) 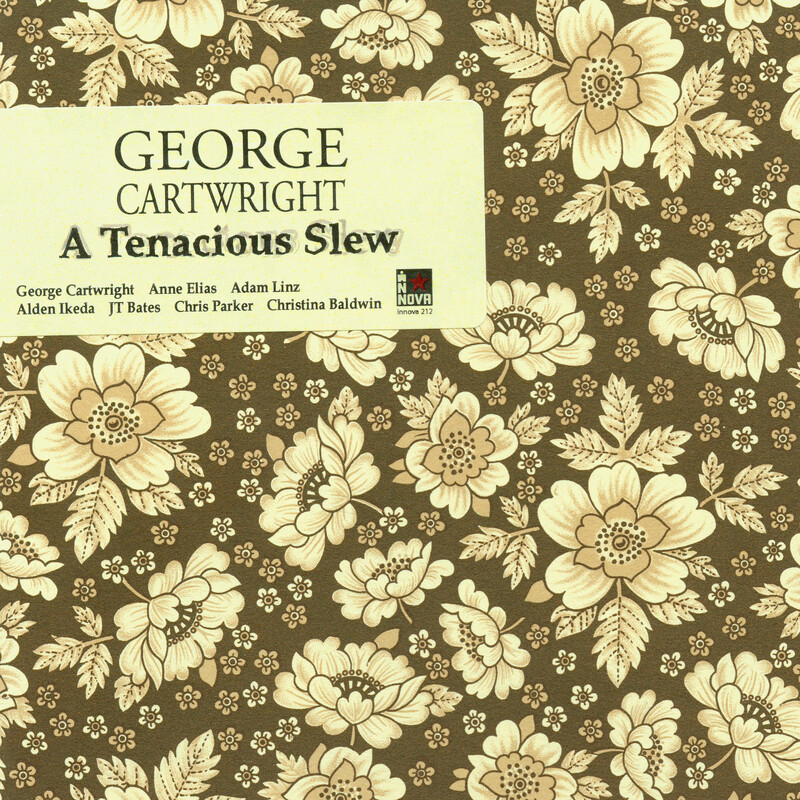 George Cartwright’s new Cd though is neither. In fact it goes down rather easily and comes off with only a little scrubbing. George is still the master of blowing his sax in all directions. Here he’s back at the mouthpiece with other giants of Minnesota’s far-out jazz realm (Adam Linz, Alden Ikeda, JT Bates and Memphusian Chris Parker). They were recorded live at the Walker Art Center in Minneapolis and the energy of that evening is captured well on tape. What didn’t come out at all was Anne Elias’s accompanying video projections (you’ll have to imagine those). She does make a haunting appearance though with some enigmatic poetry that serves to ground the fantastical music that swirls around it. A limited edition of hand-assembled beauty, A Tenacious Slew will grace your shelf and ears for years to come.